Problems with the civil justice system in the “Show Me Your Lawsuits State,” mostly at the state supreme court level, were documented in last year’s Judicial Hellholes report and have seemingly trickled down to lower courts now hurrying to get in on the act. 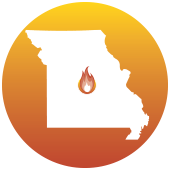 Missouri is one of the holdout states that have not yet adopted the Daubert standard used by federal courts and most state courts for the admission of expert witness testimony. Instead, Missouri has adopted a flexible standard for admitting scientific or technical testimony based largely on a purported expert’s paper credentials, not on his or her methods. since 2009, with a majority of the donations being made in the time leading up to the 2015 legislative session. True to Missouri’s growing reputation as a Judicial Hellhole, judges there also played a vocal role in opposition to raising the bar for expert testimony. Missouri Circuit Judges’ Association president Judge Lisa Page led the lobbying efforts against the bill in the state capital and represented the unanimous support of all circuit judges in the state. All of this culminated with a nonsense request by the Missouri Bar Executive Committee to “study” the issue of whether rules already used in Federal courts and more than 30 states would be appropriate for Missouri. 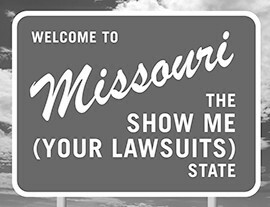 Further demonstrating the close ties between the plaintiffs’ bar and Missouri judges is the fact that they have shared the same state capital lobbyists for years. Former State Senator David Klarich has lobbied for the Missouri Association of Trial Attorneys since 2007 and the Missouri Circuit Judges Association since 2009. LuAnn Madsen left the Missouri Bar in 2000 to lobby for both the Missouri Association of Trial Attorneys and the Missouri Associate Circuit Judge Voluntary Fund. Missouri circuit court judges did not oppose the Daubert legislation for reasons of policy or principle. Their opposition was aimed at currying favor with the plaintiffs’ bar which, as discussed in last year’s Judicial Hellholes report, exercises disproportionate in uence within the system that appoints Missouri judges to the bench at all levels. This so-called Missouri Plan was adopted in 1940 and functioned more or less evenhandedly until about 30 years ago. Since then the system has been captured by plaintiffs’ lawyers with predictable results. Missouri’s appellate judges are appointed by a seven-member panel. The Appellate Judicial Commission’s membership is set by the Missouri Constitution. It includes three non-lawyers appointed by the gov- ernor, three lawyers elected by the Missouri Bar Association, and the chief justice of the Missouri Supreme Court, each of whom serves a staggered six-year term. In practice, this purportedly “nonpartisan” court appointment plan ensures that the liability-expanding interests of plaintiffs’ lawyers are disproportionately represented. The political makeup of the committee is largely the same as it was in 2014. e three lawyers currently serving on the committee comprise two personal injury lawyers and one specializing in criminal defense. Two non-lawyers appointed by Governor Jay Nixon (D) are a union representative and a Democratic Party sta er, both of whom consistently seek to appoint liability-expanding judges. e lone newcomer for 2015 is a nurse and former paralegal at a plaintiffs’ firm. She replaced the committee’s only businessman who consistently supported judicial candidates favoring reasonable limits on liability. 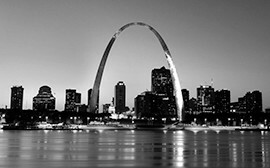 When the Missouri Supreme Court struck down the state’s statutory limits on punitive damages last year, the Judicial Hellholes report forecast trouble, noting that even the U.S. Supreme Court has recognized the need for courts to “ensure that the measure of punishment is both reasonable and proportionate to the amount of harm to the plaintiff and to the general damages recovered.” That principle was reflected in the Missouri statute the high court rejected. And in the year since, punitive damage awards in the state have already begun to soar beyond reason. For example, in May 2015 a Kansas City jury awarded $251,000 in compensatory damages to a woman who was wrongfully sued by a debt collector for $1,130. is award exceeded by more than 222 times the sum for which she had initially been sued. And on top of that, she also received a wholly irrational punitive damages award of $82.99 million – roughly half of the defendant company’s net income for 2014. The verdict is on appeal but, if upheld, the plaintiff’s attorneys will take home more than $20 million as their share of a jackpot no riverboat gambler in Mark Twain’s time could have ever imagined. Another example of an unreasonable and disproportionate punitive damages award was blessed by the Missouri Court of Appeals, in July 2015. In Ellison v. O’Reilly Automotive Stores, Inc., the court upheld a $2 million punitive damages award against an employer in a disability discrimination case brought under the state’s Human Rights Act. While $2 million may not seem extraordinary, the case revolved around a mere demotion, not a ring. And this award for punitive damages was 10 times higher than that for compensatory damages ($200,000), making for a double-digit ratio exceeding the single-digit limit suggested by the U.S. Supreme Court in State Farm v. Campbell and BMW v. Gore. IS ST. LOUIS THE NEXT MADISON COUNTY? Plaintiffs’ lawyers specializing in asbestos lawsuits are nding increasingly generous verdicts and helpful judges in St. Louis, just across the Mississippi River from Illinois’ perennial Judicial Hellhole, Madison County. In Poage v. Crane Co., for example, the plainti was awarded $1.5 million in compensa- tory damages despite having stipulated before trial that such damages were worth only $822,250. Another $10 million was tacked on for punitive damages – that’s six times the compensatory award. Te defendant is seeking a ruling in its favor, a new trial or a reduction of the award. It is likely to appeal if the court denies its motion. In addition to generous, plainti -friendly verdicts, St. Louis also has at least one judge willing to ignore U.S. Supreme Court precedent requiring a defendant to have a business presence in a given state in order to be subject to lawsuits there. In an August 2015 order 22nd Circuit Court Judge David Dowd refused to dismiss a case in which the defendant did not maintain its headquarters or a principal place of business in Missouri and the plaintiff was not exposed to the defendant’s products within the state. Judge Dowd disagreed with both the defendant’s motion to dismiss and the nation’s highest court on the flimsiest of bases, finding the company “consented” to jurisdiction in St. Louis by virtue of complying with state law requiring it to designate a registered agent in Missouri. Even more astonishing than Judge Dowd’s order were subsequent rejections of the defendant’s desired appeals by both the Missouri Court of Appeals and, in October 2015, the increasingly rogue Missouri Supreme Court, which last year ranked #6 among Judicial Hellholes nationwide. So with asbestos dockets as clogged as they are in Southwestern Illinois, might plaintiff-favoring judges in Missouri invite a growing migration of asbestos cases across the river to St. Louis? Some observers say that migration is already underway.